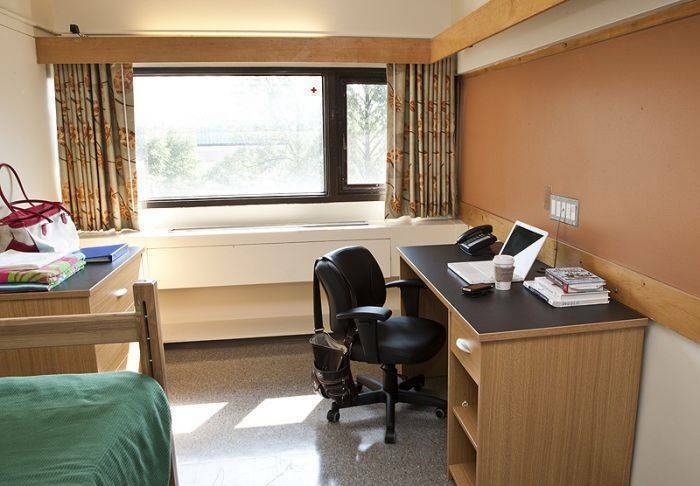 New College Residence at the University of Toronto downtown campus offers relaxing, safe, convenient, and affordable dormitory accommodation throughout the summer months from May to the end of August. All of our single or double rooms (with two single beds) include air-conditioning, in room phone (free local calls), free wired high-speed internet connectivity (you must bring your own ethernet chord or you can purchase one at the front desk for $5), security, and much more. 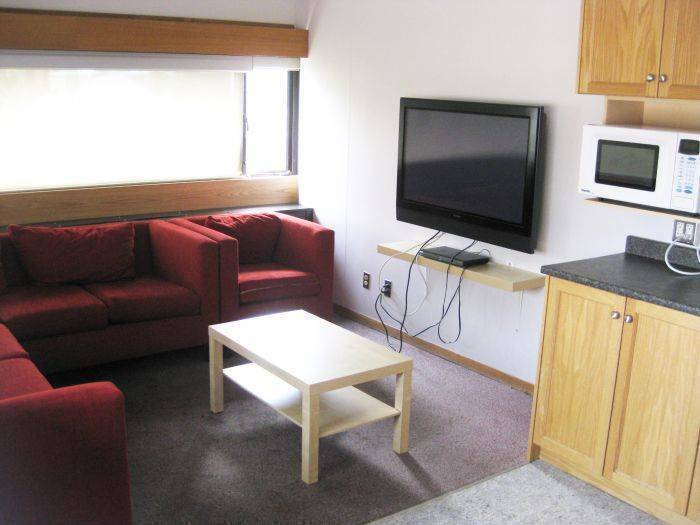 Washrooms and a common room with cable TV and limited kitchen facilities are just steps away from each room. New College Residence is located on the University of Toronto campus - a tranquil green space hidden in the heart of the city. From historical university buildings to cutting-edge architectural masterpieces, this campus is a truly exceptional space and great for budget minded travelers. New College Residence is within walking distance to most downtown Toronto attractions and has easy access to the metro subway system (just outside the door). Location - New College Residence at the University of Toronto is located in the heart of downtown Toronto. Just north of College Street off of Spadina Ave you will step onto a beautiful historical campus - a short get away from the busy downtown core. An affordable alternative to downtown hotels. 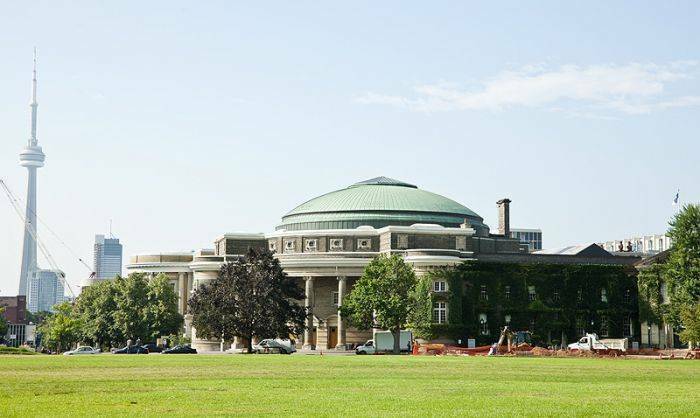 Experience living on the University of Toronto campus where free walking tours can be arranged-fun and educational! Come get a glimpse of university life in Canada! ALL APPLICABLE 13% ACCOMMODATION TAXES ARE INCLUDED IN THE RATES! Features include air-conditioning, in room phone (free local call), free wired high-speed internet (bring your own ethernet chord or you can purchase one for $5 at the front desk), security, and much more. A full hot breakfast can be purchased in the Dining Hall for approximately $7/day. A great way to start the day! New College Residence is located on the University of Toronto campus in downtown Toronto a tranquil green space hidden in the heart of the city! It is within walking distance to many downtown attractions and multi cultural neighbourhoods. Located on the second floor of the Residence. Enjoy an optional full hot buffet breakast and other meals. There are also many food outlets on campus. In the event of a cancellation or no-show, guest will be charged for one night's accommodation. Full payment is due on arrival. 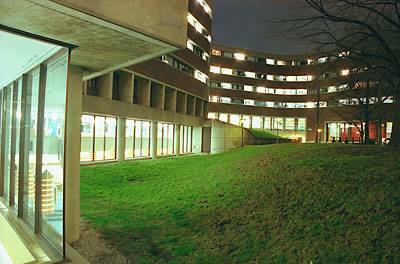 New College Residence (Wilson Hall Residence) is located in downtown Toronto, on the main campus of historic University of Toronto. Wilson Hall Residence is located at 40 Willcocks Street (2 blocks north of College Street) off of Spadina. Take the streetcar that is going Northbound to Spadina Station. The fare is CAN$3. 00. Get off at the Willcocks Street stop (first stop north of College Street). Total trip time from Union Station is around 15 minutes. 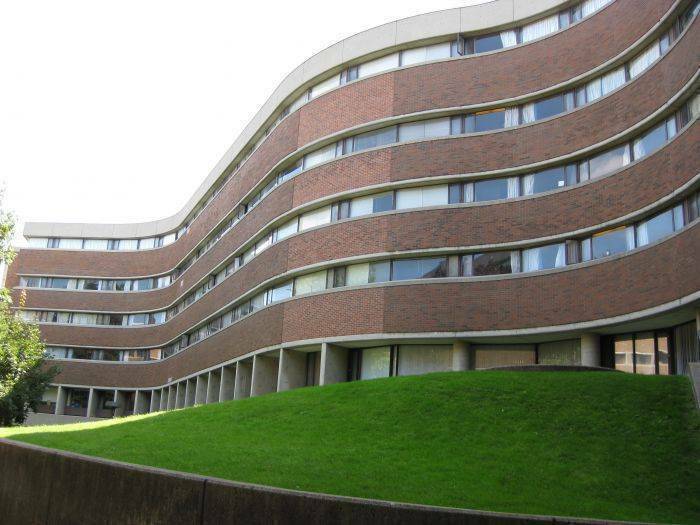 Wilson Hall Residence is on the north-east corner. The Metro Toronto Bus Terminal is located on Bay Street, just north of Dundas. Take the Westbound Dundas streetcar (ask driver for a transfer) and get off at the Spadina Avenue intersection. Take the Northbound Spadina streetcar (towards Spadina Station) until you reach the Willcocks stop (first stop north of College Street). Streetcar fare is CAN$3. 00, and the total trip time is around 15 minutes. Wilson Hall Residence is on the north-east corner. 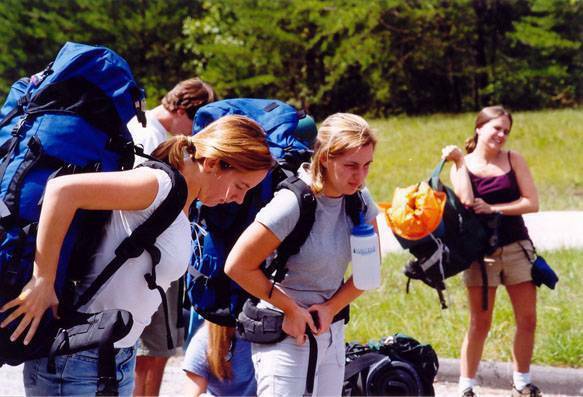 Nearest airport: Pearson International Airport is about 27 km NW of New College Residence.